Vehicle Finance – Nedbank as a company wishes to attain the status of the most respected bank in South Africa, not as just adjudged by customers, but by all stakeholders including employees, shareholders, regulators, government etc. In an attempt to reach this esteemed status, Nedbank and MFC strive to provide the most affordable loans so that the average South African can fulfill his dream of owning his car without being under a mountain of debt. Nedbak Vehicle Finance being renamed to MFC A Division of Nedbank as a result of a merger between MFC and Nedbank Asset and Vehicle Finance. As a result of this coalition, South Africans can enjoy better services courtesy the best resources behind both these organizations. 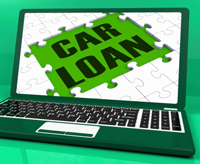 MFC A Division of Nedbank offers online vehicle finance application as well to ensure convenience although interested clients can instead call or even walk in to a branch to obtain more information about vehicle financing if they so wish.